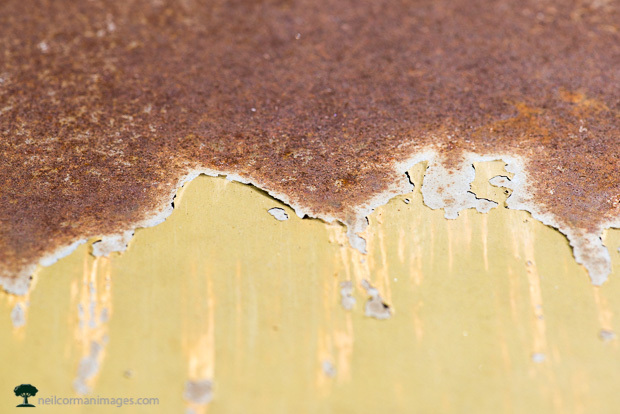 As the paint peels off a large piece at the salvage yard the rust starts to take over. It is a slow process put eventually the paint will disappear. In this image it is a somewhat uniform line as the change makes it way across.